Serena Williams beat Maria Sharapova 4-6 6-3 6-0 to win the 2013 Sony Open in Miami, Florida. Serena once again proved that she is the best player in women’s Tennis and her performance was really impressive. To me the most interesting part about this final though, are the incremental improvements that Maria Sharapova has been able to make in the last couple of months! Maria is a real role-model when it comes to continuously working on your game and enjoying the process! Maria lost the previous 10 matches to Serena and in the most recent matches really did not have much of a chance at all against Serena. Nevertheless, she simply continued to work on her game and tried to get closer step by step. She played phenomenal in the first 1.5 sets and was up a set and a break. Nevertheless, Sharapova could not quite keep the level of the first set and Serena started gaining confidence and playing better. Have A Look At The Highlights Of This Incredible Match! 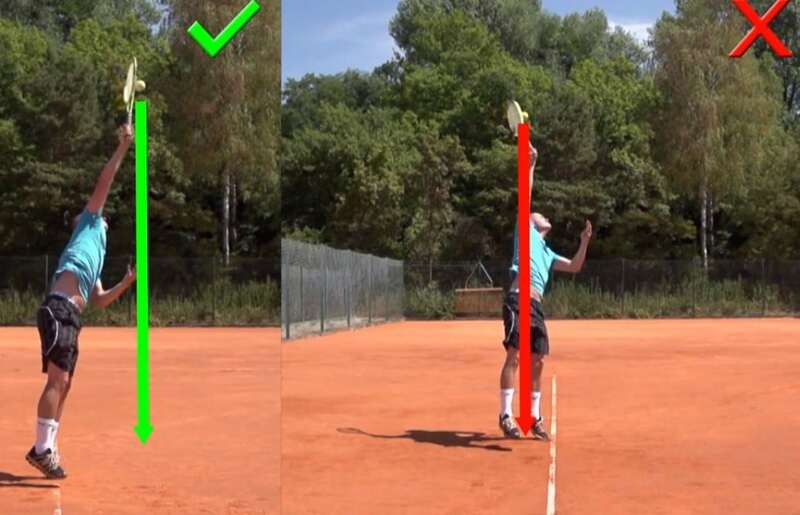 So What Can You Learn From Maria ? Maria has one of the best attitudes in the game. Her mental toughness and attitude are about as good as can be and she loves competing as well as working on her game! Maria has been on tour for a really long time but she still seems to love the game and everything about it. What’s her secret ? Maria is all about improving and getting better. She is very process-oriented and not too outcome oriented. This kind of attitude is one of the biggest keys to long-term success and satisfaction in this game! Just a few weeks ago I was out in Indian Wells filming the best players in the world during their practice sessions. It was very interesting to see how focused Maria Sharapova was during her practice sessions. She usually picked a court that spectators could not access and spend lots of time working on tiny details in her game! She was in constant communication with her coach, Thomas Hogstedt, and they were obviously fine tuning lots of little things in her game. It became quite obvious to me that she loves this process of fine-tuning her game and that’s what makes intense practice sessions enjoyable! During my time in Indian Wells I also saw several pro players that did not seem to be working much on their game. 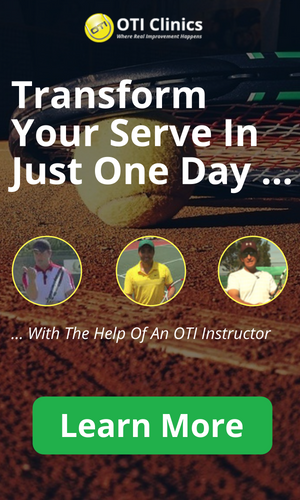 These players were simply hitting balls and rarely communicated with their coaches. Usually that stems from the wide-spread idea that you are who you are as a player and major improvements are not possible in later stages of your career. In my opinion this is a devastating attitude that not only hinders your improvement but also takes the joy out of the game! During the Sharapova Williams finals match, the commentator from tennistv.com talked about Maria’s work with her coach Thomas Hogstedt. Maria has been working with Hogstedt for a while now and she has improved quite a bit during this time. Last year Maria already had a great season during which she got to number 1 in the world for a while and also won the French Open. Nevertheless, she did not do well at all in her matches agains the best players; mainly Victoria Azarenka and Serena Williams. The reporter mentioned that Maria said she is satisfied with the development of her game in general, but she really wants to improve in her matches against the absolute best players like Serena and Vika. I found this quite interesting to hear because Maria stated her goal as improving rather than winning against these two incredible players! That is a really smart goal and to me again shows her focus on the process rather than the outcome! Of course Maria wants to win against these players but I think she is well aware that it is a much smarter goal to try to improve against them step by step and let the winning take care of itself rather than trying to focus on the winning too much. This way she does not put too much pressure on herself and gives herself the freedom to focus on incremental improvements. If she implements enough incremental improvements, the winning part will fall into place naturally at a later point! So again overall I think Maria is an excellent role-model in regards to her attitude towards the game. She loves the challenge and does not focus too much on winning. This allows her to be super focused on improving and gives her lots of satisfaction! 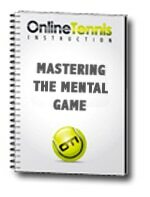 It explains in detail the steps you need to take to get maximum success and enjoyment from the great game of Tennis!